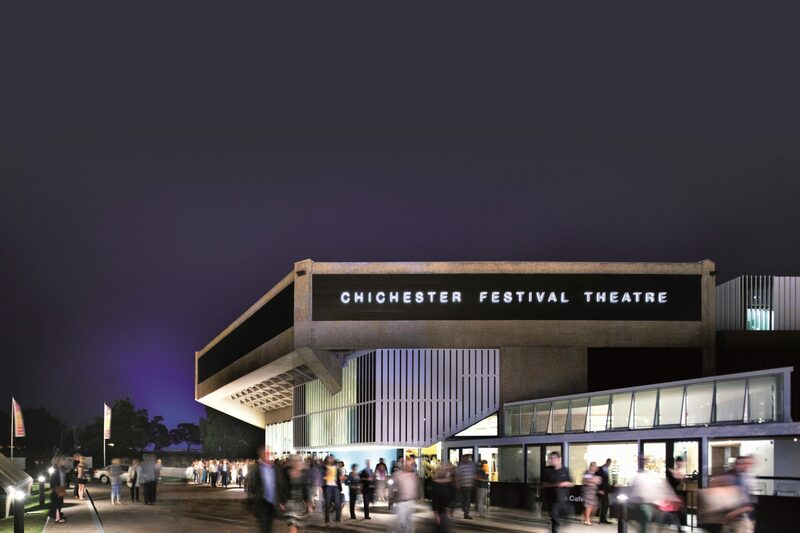 We are pleased to announce that Absolute have provided Chichester Festival Theatre with a control system to power their new "in-house" revolve. This new revolve was custom built and designed to meet the varied and flexible needs of the theatre. We worked closely with Chichester Festival Theatre and scenery contractor All Scene All Props when these revolves were built for the London transfer of Quiz. Designed with their future use in mind, the revolves are formed from three rings and a centre section. These sections can be linked together in different configurations, either being used as a single revolve or an inner revolve with an outer ring, both of varying sizes. This flexible configuration means that the revolve can be used in the Festival Theatre or in the Minerva Theatre. The revolves can be driven in two separate sections and are both driven by two “pinch drive” units each. These compact units use two wheels which clamp (or pinch) onto a steel drive ring to turn the revolve around. These units are synchronised in the control rack, sharing the effort required to turn the revolve. An external encoder for each revolve reads it’s physical position and connects into the automation system using our standard IO Boxes, one for each revolve. Using external encoders ensures that the revolves position accurately and counteract any “slip” from the pinch units, should it occur.